Picking up a latte or espresso while out shopping is a fun indulgence...but the price can add up quickly if I do it too often. 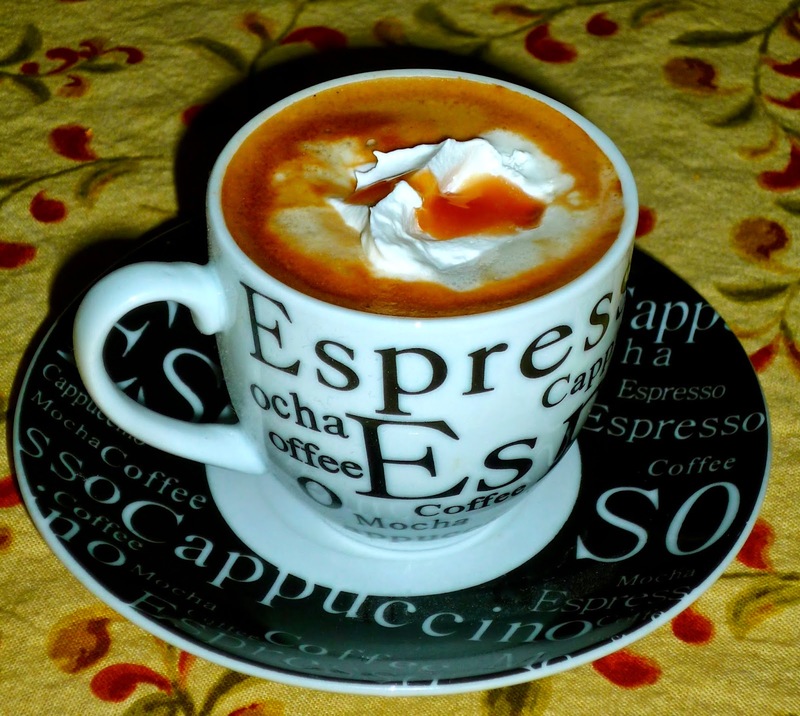 Luckily, I've found a great way to enjoy coffee indulgence at home without breaking the bank! 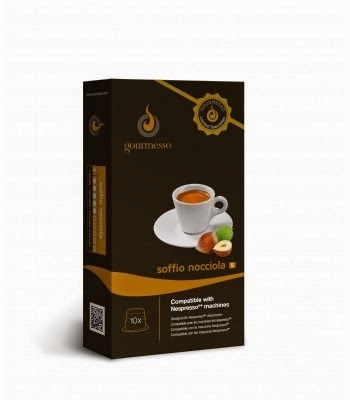 I recently tried Gourmesso® coffee capsules, which are designed to be used exclusively in Nespresso coffee machines. 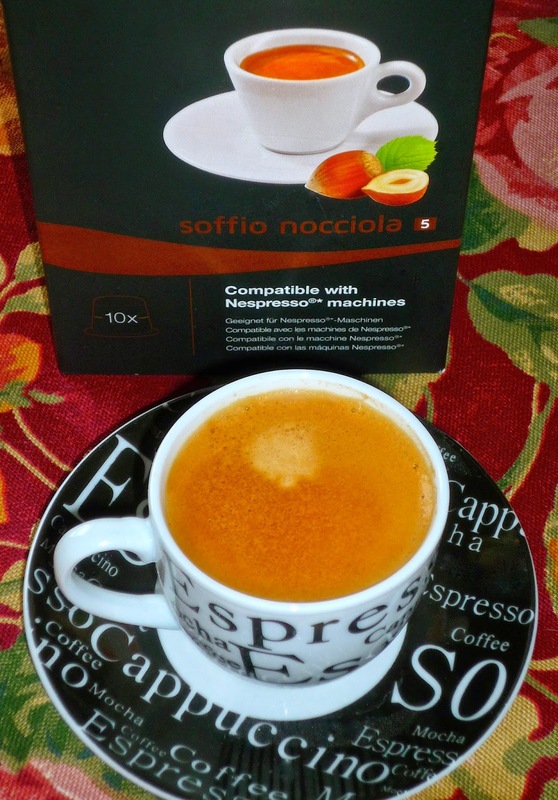 Gourmesso® sent me a sampling of their coffee pods and a Nespresso Inissia coffee maker, and my family enjoyed their Soffio Nocciola (Hazelnut) espresso with Thanksgiving dessert. Gourmesso® is a New York-based company, and their coffee capsules are sold exclusively via the company's website. They ship to all 50 states at a price that averages 30% less than original Nespresso capsules. One box containing 10 Gourmesso® coffee capsules starts at only $4.49 -- or about $0.45 per capsule. For comparison, Nespresso coffee capsules retail for an average of $0.65 per capsule. Those savings start to add up very quickly! Gourmesso® launched in Germany in 2013, quickly becoming the #1 online seller of alternative coffee capsules for Nespresso machines. After expanding throughout Europe, they started selling their coffee capsules in the U.S. early this year. Gourmesso® currently offers 20 different espresso varieties made with coffee beans from South and Central America, Africa, India, and Asia. These blends include 10 different espresso blends, three lungo (long-pour) blends, six flavored blends, and even one decaf option. They also proudly offer the only certified Fairtrade coffee capsules available. The capsules are easy to use, and you can have a small espresso ready to drink in about 2 minutes -- instant gratification! Simply pop a Gourmesso® coffee capsule into the light, compact Nespresso coffee machine. Then, press one of two buttons on top -- depending on the cup size you want to enjoy. 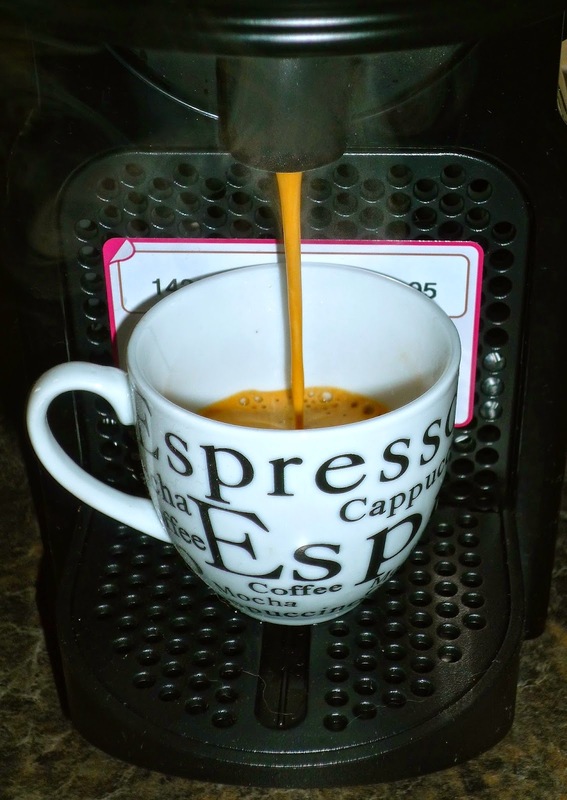 In seconds, your espresso starts to brew. We served small cups of the fragrant hazelnut espresso with a dollop of whipped cream and a drizzle of caramel syrup -- it was a perfect Thanksgiving indulgence! The espresso was strong -- but not bitter -- and very smooth. The hazelnut flavor is subtle, rather than overpowering. Cute cups and saucers are optional, but they certainly add to the festive mood. Disclosure: Gourmesso® provided me with a variety of their coffee capsules, along with a Nespresso Inissia coffee machine, to facilitate this post. All opinions expressed are solely my own.